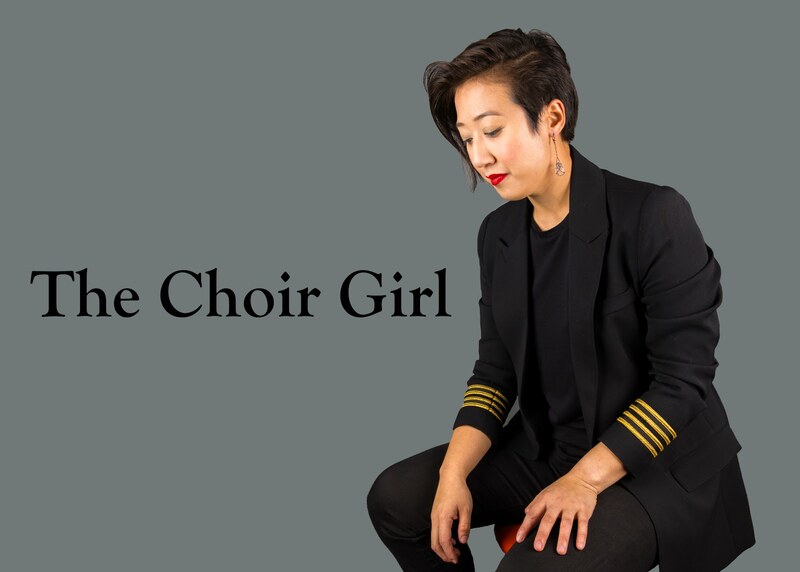 The Choir Girl: Virtual Choir Completion! I have finished all 4 video entries to Eric Whitacre's Virtual Choir! I'm so excited I was able to get them all done in time. Originally, I was only going to do one (soprano 2) video but then I decided I should make the most of my new microphone. I filmed my Alto 1 entry on Christmas Day... because I didn't really have anything better to do in the afternoon before Christmas dinner. I also practiced the S1 and A2 part but my voice was tired from all the singing already so I couldn't record the other two videos. Today I started with the A2 video to get it out of the way since my voice does a funny thing in that when I am too warmed up... I can't sing below a middle C. Not the most convenient thing, I know. It took 3 or 4 tries to get a good take and one of my best takes was ruined because my Dad started hammering nails into the door downstairs and that penetrated all the way into my track. After a sigh of exasperation and some silent fist shaking I just reminded myself that the thing about recording is that there is no perfect take. Well, for me at least. Just good enough and the next track I got was good enough for me to post. I only recorded the soprano 1 track three times and the second one was best so I scrapped the other two. The most tricky thing was just learning the notes between the video filming. Most of the notes were the same but there are some tricky ones that only differ by a note or two so you can't go on autopilot. However, it is finished! The new deadline is January 10, 2011 so you still have time if you haven't entered yet. Think about it, I was able to film two videos in just one afternoon. Look through the music, sing along with another virtual choir entry, and just go for it. This is no longer the time for procrastination since the deadline is creeping up. I have a feeling the project is looking more for mere numbers than impeccable quality if that makes you feel better. Check out my previous post for all the instructions! Now, we just need to wait until the Spring to see what the Virtual Choir looks like assembled! Take care and hope you are having a wonderful holiday season! Dear Sable: I found your Soprano 2 vid on youtube and I wanted to thank you, because I've been willing to learn the part but I can't read music (but I do understand it when I read a sheet with some audio playing) and most of the other videos I had seen weren't accurate, some mistook notes, or had too much vibrato, but yours is perfect. I've had uploaded a Soprano 1 vid, but I erased it because it was awfu; I seem to have some kind of stage fright that starts as soon as the I press the "record" button of my webcam and my high notes do not sound as they should, so I figured that maybe if I learned soprano 2 also things would be easier. Sorry about the long comment, I just wanted to say thanks and I'll be reading your blog! I'm glad you found my video helpful! I know what you mean about the imprecise video entries that are out there but I'm honoured that you found mine helpful! Were you able to re-upload a soprano 2 video? I also know what you mean about the webcam stage fright, it almost seems silly since I'm just in my room singing but then when I realize how many people will actually see my entry it's intimidating. I wish you all the best in your recording (thank goodness the deadline has been extended to January 10, 2011) and let me know how your entry goes!